Being a keen cyclist in the UK with its ever changing weather, I have had to do a fair bit of adapting over the last few months which has proved rather expensive! I have bought rain coats, scarves, water proof gloves, wind proof gloves, water proof overshoes, balaclavas, thermals – the list goes on. That being said, being adaptive does not have to cost the earth… or anything at all for that matter. Being a Graphic Design, web design and marketing agency we are always faced with small problems (or opportunities as I like to call them!) so being adaptable is imperative. 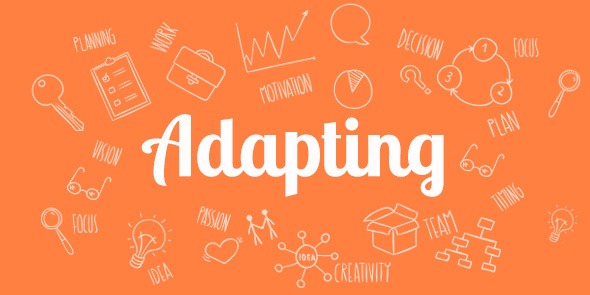 Websites, especially big websites with huge amounts of content, do have a tendency to morph and change from what you originally intended – whether its the client or the agency changing the parameters – so being adaptable is key. We pride ourselves at Pelling in being adaptable, flexible and understanding to our clients needs, so our strong communication skills set us apart from a lot of our competitors. This allows us to often stay on budget by identifying potential issues before they happen, and before they end up costing our clients more money! If you need a flexible design agency who can adapt at the drop of a hat, please contact us here or give us a call.